Posted on March 23, 2019 Posted in Cakes	. 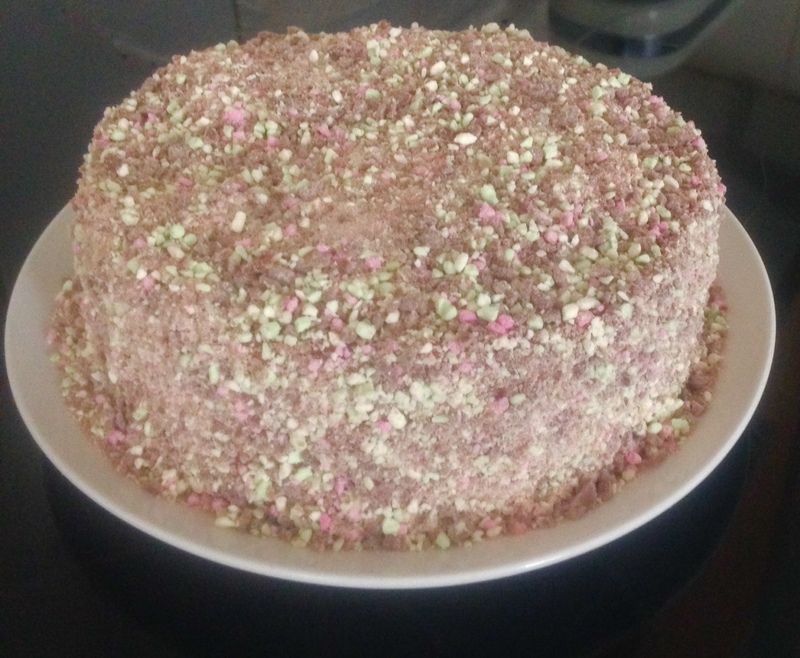 It’s been a while since I baked with lollies (see my Red Skin Candy Cake and Musk Candy Cake recipes). To reignite this baking lollie twist I decided to start looking at chocolate lollies and incorporating these in my recipes. One of the chocolate types I thought would be interesting and not commonly consumed was Pascall’s Clinkers. Chocolate covered candy with a surprise of either pineapple, lime or strawberry in the middle…yum! I have opted for a cheesecake in this instance as chunks of diced Clinkers in a traditional baked cake would leave holes and make the cake unstable when the chocolate and candy melted in the cooking process. 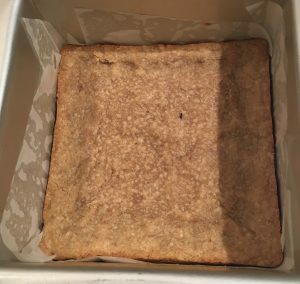 Line a 23cm spring form baking tin with baking paper. 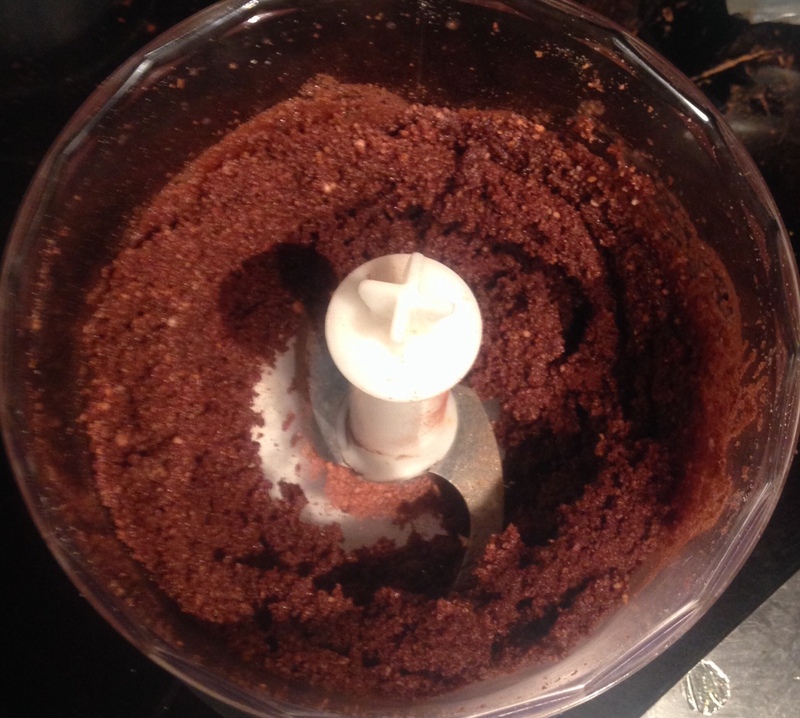 Place the biscuits in a food processor and blitz until they resemble fine breadcrumbs. Melt the butter, add to the biscuits and pulse until well combine. 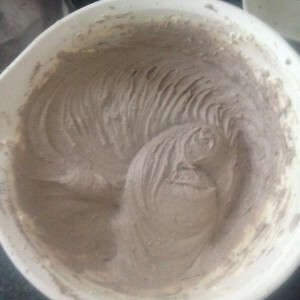 Press biscuit mix into the base of the tin then place in the fridge to firm. 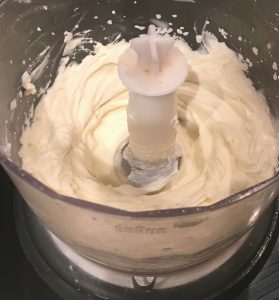 Using electric beaters whisk the cream cheese and sugar until smooth. 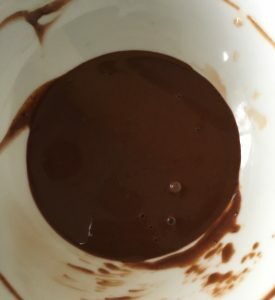 Melt the chocolate and beat into the cheese mix until smooth. 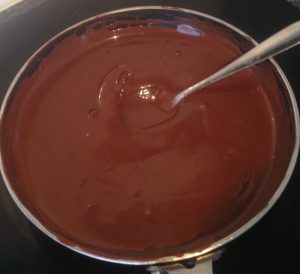 Boil the water and mix the gelatine, using a fork to combine until the mix has no lumps and is silky. Add the gelatine mix to the cheese mix and beat until well combine. 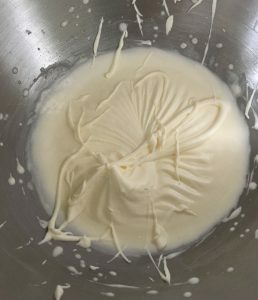 Clean the beaters and whisk the cream until peaks form. 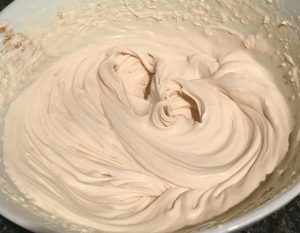 Cut 250g of clinkers into medium sized pieces each so you have nice chunks and fold with the cream into the cheese mix. 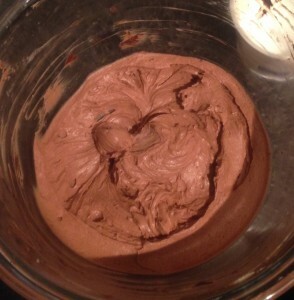 Spoon over the chocolate base and leave in the fridge for at least 3 hours to set. Once set remove from the tin. 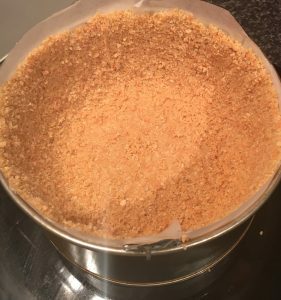 Place 100g of clinkers in the food processor and blitz until the mix resembles breadcrumb consistency. 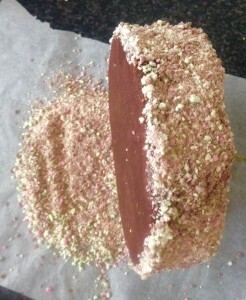 Roll the cake onto its side once set to coat sides of cake with the clinker mix, then sprinkle the remaining on top. 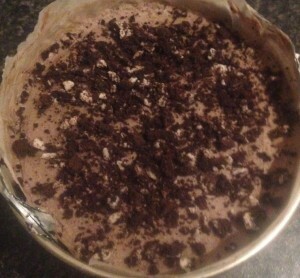 Tags: cheesecake, chocolate, Clinker, Clinker Cheesecake	. Posted on July 14, 2018 Posted in Cakes	. 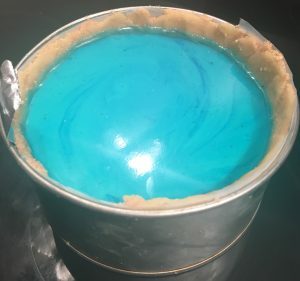 I have always loved the flavour of blue heaven and decided that I wanted to make a cake out of it. 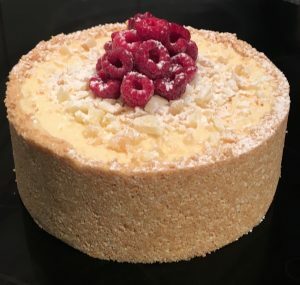 The only way I could really think of putting this flavour into a cake was by using jelly crystals, thus the cake types I could actually experiment with were limited – making a cheesecake the most obvious option. 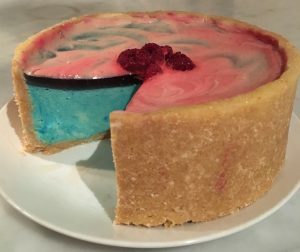 If I used the jelly in a cheesecake I wouldn’t need to bake the cake as the jelly would help set the cheesecake to the perfect consistency. To play to the blue heaven child-hood flavour I added blue food colouring to really make this cake pop and look like it belonged in Willy Wonka’s chocolate factory. 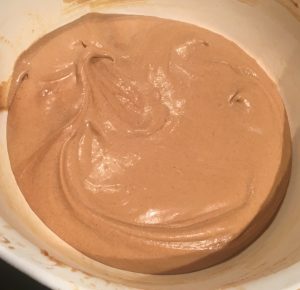 The outcome was exactly as I was hoping for, the flavour reminds me of when I was a child, its super creamy and a satisfying must if you were a fan of blue heaven spiders as a kid! 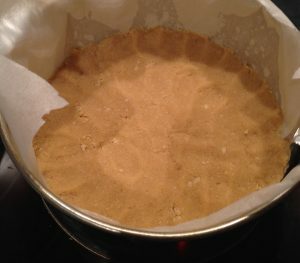 Line a 25cm spring form cake tin with baking paper. 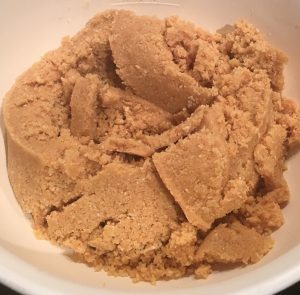 Place the biscuits and soften butter in a food processor and blitz until the mix resembles fine breadcrumbs. Press mix into the bottom and sides of the lined cake tin. 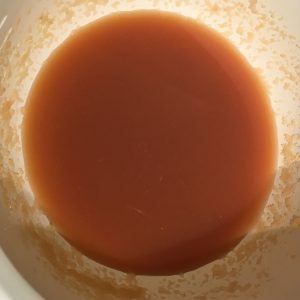 Boil the water and pour into a bowl, add the jelly crystals and stir until the crystals have melted and mixed in well. Set aside to cool to room temperature. 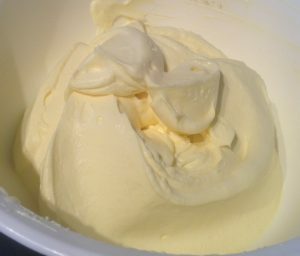 Place the cream in a new bowl and using electric beaters whisk the cream until soft peaks form. Add the cooled jelly mix, sugar and cream cheese and beat until smooth and silky. 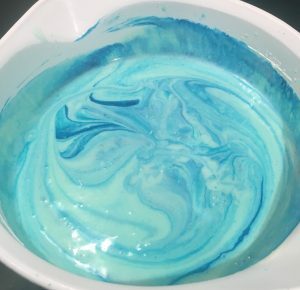 Add the food colouring and fold the mix a few times to achieve a blue swirl. 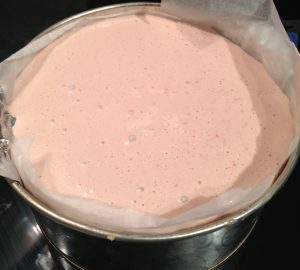 Pour the cheesecake filling into the prepared tin, smoothing the top with a spoon. 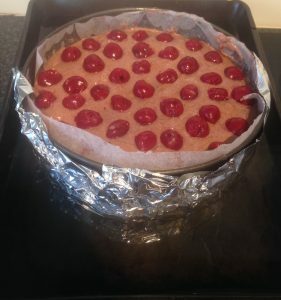 Place the cake tin in the fridge for 3 hours to set. 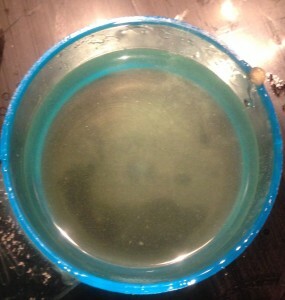 Meanwhile, boil 50ml water and pour not a bowl. Add the jelly crystals and stir until the crystals have melted and mixed in well. Leave aside to cool. 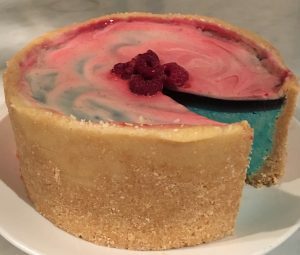 Once jelly mix is cooled pour the jelly over the cheesecake and place in the fridge for a further 90 mins to set. 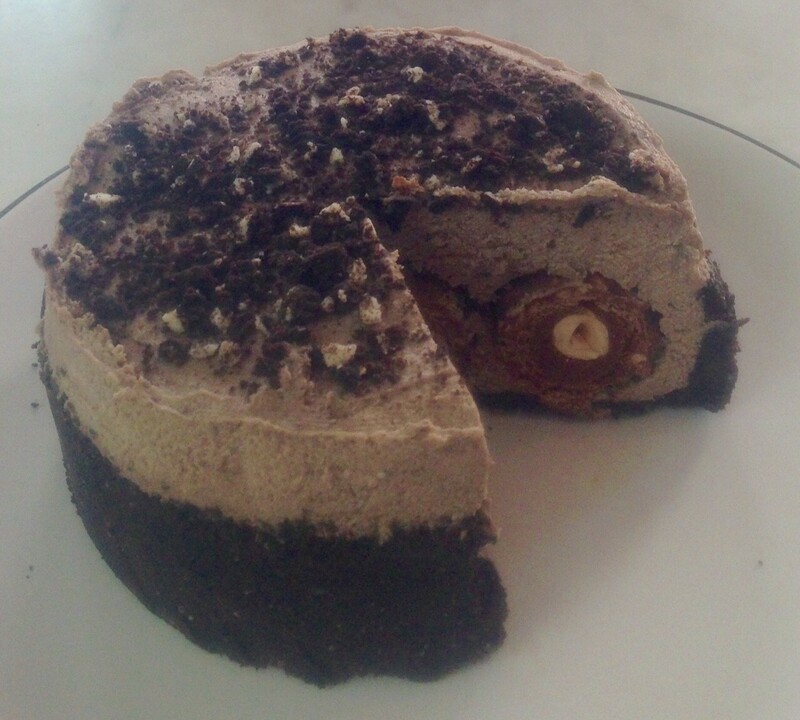 Cut the cake into slices and enjoy! 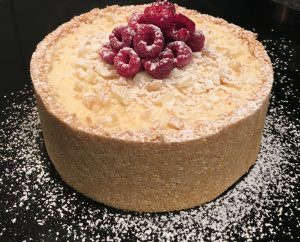 Note: Using electric beaters I whipped up 100ml of thickened cream, 1 tbsn sugar and 1 tsn of vanilla essence to decorate the cake as well as a few raspberries. Tags: Blue Heaven, Blue Heaven Cheesecake, cheesecake, jelly	. Posted on November 11, 2017 Posted in Cakes	. Golden syrup would have to be one of my favorite flavors, it’s the whole reason I eat Anzac biscuits! 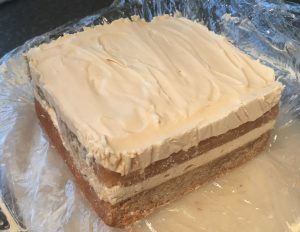 I wanted to make a cake with this flavor as the key feature, but to also have a range of textures and additional flavor tones that compliment the luscious golden syrup. 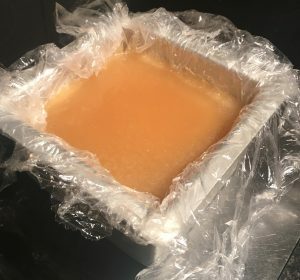 Ultimately I wanted to create a golden syrup flavor bomb profile paring. After playing around with a few spices, nuts and essences I had the ingredient pairing I was looking for. 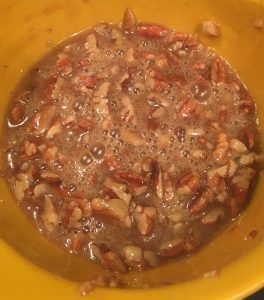 The after taste and texture of pecans and the salty and sweet combo of salted caramel worked wonderfully with the golden syrup. After deciding the syrup cake (experiment 1) was delicious but way too super super sweet I opted for a cheesecake instead to tone down the sweetness and add some creaminess to the pecan crunch. Adding in an Anzac inspired base connected all the flavors and textures together. 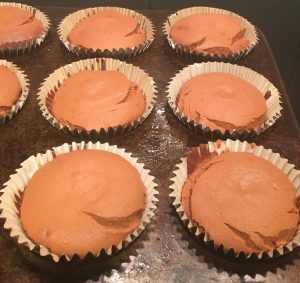 Pre-heat the oven to 175c degrees and line an 8-cupcake tin with large cupcake patties. Spray the patties with oil spray. 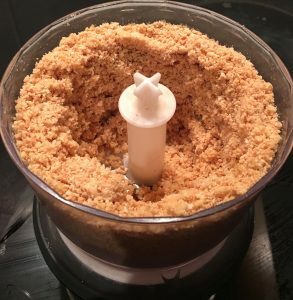 Place all the base ingredients into a food processor and blitz until the mix resembles breadcrumbs. Spoon the base mix into the patty cases evenly and using the back of a spoon press down to flatten. 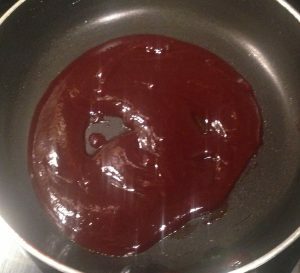 Next make the caramel by placing the water and sugar into a saucepan on a high heated stove top. Stir the mix until the sugar has dissolved then leave to boil until the mix becomes a golden brown colour. Remove off the heat and using a hand whisk beat 100g of the cheese until the mix is smooth. 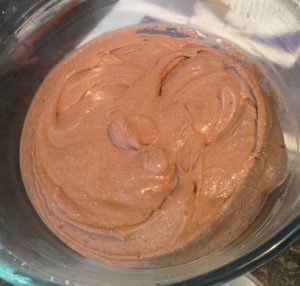 Transfer the mix into a bowl and add the remaining cheese, salt and the essence, whisk with electric beaters until the mix is smooth. 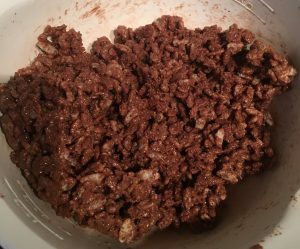 Spoon the mix evenly into the patties on top of the base, flatten the mix with the back of a spoon. 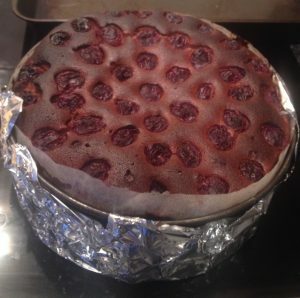 Place the tin into the oven and bake for 20 minutes or until the top of the cakes are firmish to touch. 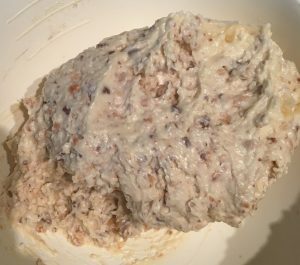 Meanwhile make the pecan topping by placing the butter, sugar and syrup in a bowl and on high in the microwave until the mix is boiling, stir. Diced the pecans and add into the sugar mix, stir. 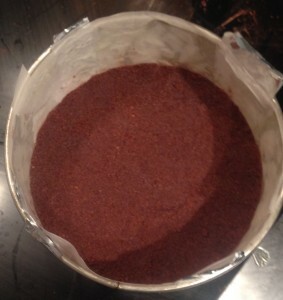 Once the cakes are done take them out of the oven and spoon the pecan mix over the top of the cakes evenly. Place the cakes back in the oven for an additional 20 minutes. 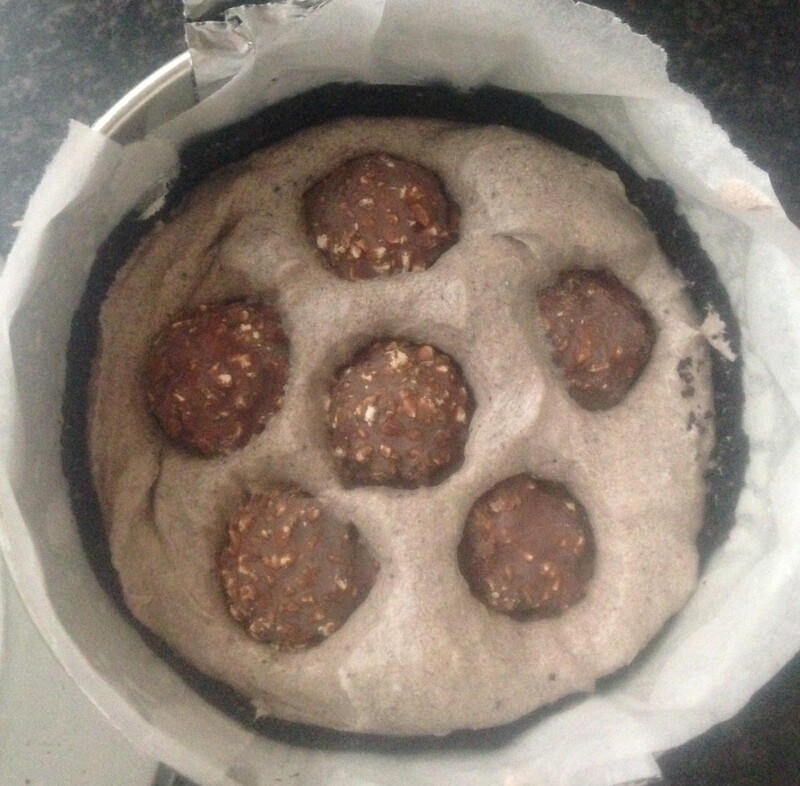 Once time is up remove the cakes from the oven and leave aside to cool. Place the cakes in the fridge for 4 hours to completely set. Dust the cakes with icing sugar and serve the cakes with a dollop of thickened cream if desired. I have placed the cakes in the freezer for 2 hours to completely firm then removed the patty cases. 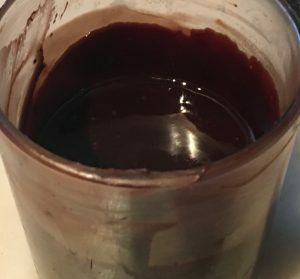 If you don’t have caramel essence you can substitute with vanilla essence. Tags: anzac biscuis, cheesecake, golden syrup, Golden Syrup Pecan and Caramel Mini Cheese Cakes, pecans, salted caramel	. Posted on October 16, 2016 Posted in Cakes	. 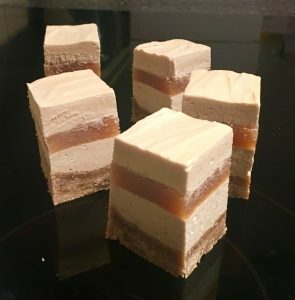 For a while now I have been trying to make a delicious dessert with a bottle of butterscotch snapps that I have left over from a cocktail night. 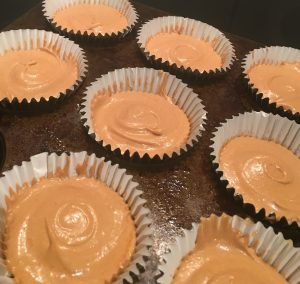 I figured I have never baked with butterscotch before and was really interested in experimenting and making it a hero ingredient. 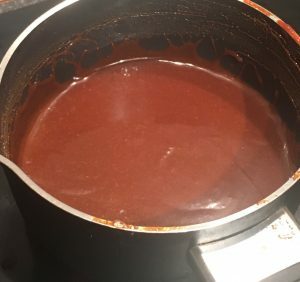 For flavor pairing inspiration I thought about what works well with butterscotch sauce (hmmm butterscotch sauce). Vanilla and white chocolate seemed to have similar flavor profiles and worked well. 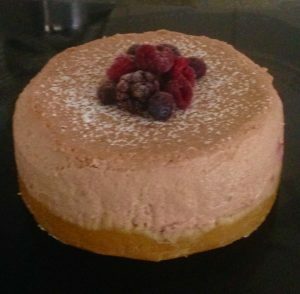 I decided on a cheesecake as the cake type, as I’m not a fan of heaps of cream and fat I decided to use low fat ricotta and mascarpone cheese as the filling foundation. 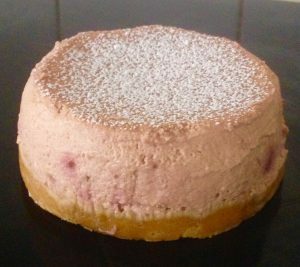 I’ve made cheesecakes with ricotta before and they have worked brilliantly. 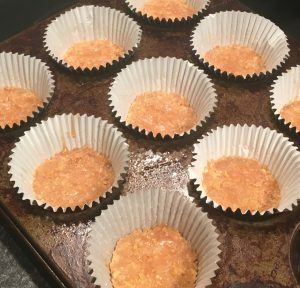 To ensure the textures were balanced I added chopped macadamias to provide some crunch, which goes perfectly with vanilla and white chocolate. 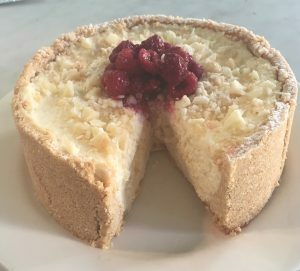 The outcome was a luscious and decadent cheesecake with grown up flavors that you can eat and enjoy more guilt free that usual. 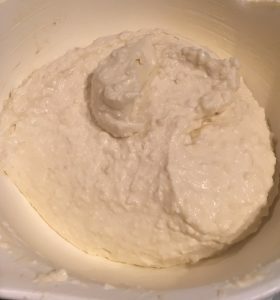 Place the ricotta into a food processor until smooth. Melt 40g of white chocolate and leave aside until cool to room temprature. 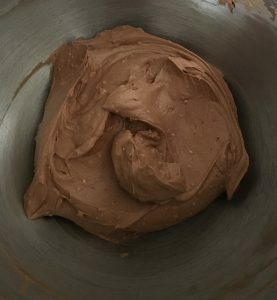 Transfer the ricotta into a large bowl with the mascarpone cheese, icing sugar, vanilla and butterscotch and beat using a hand whisk until just combine. Add the melted white chocolate and whisk with the hand whisk until combine. 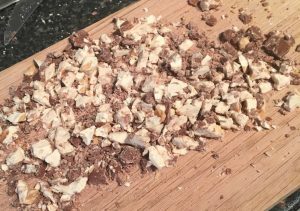 Finley chop up the remaining 80g white chocolate and the macadamia nuts and stir into the filling. Pour the filling onto the base and place into the fridge for 3 hours to set. 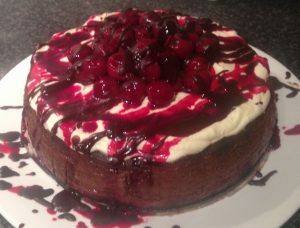 Note: I have decorated with some extra chocolate and nuts chopped up as well as a few raspberries for decoration. Tags: butterscotch, Butterscotch Macadamia and White Chocolate Cheesecake, cheesecake, macadamia, white chocolate	. Posted on September 4, 2016 Posted in Cakes	. 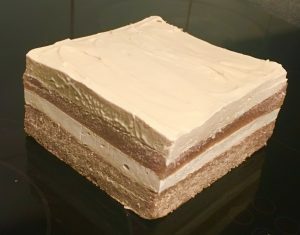 Being a massive fan of Summer Rolls and Honey Nougat Chocolate Bars I decided I wanted to bake a dessert that would turned these bars into a luscious cake. 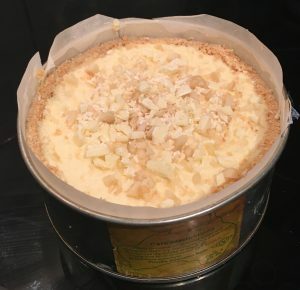 Honey, nougat, vanilla, peanuts and coconut are all ingredients that would work fabulously with a creamy textured cake, thus cheesecake it is. 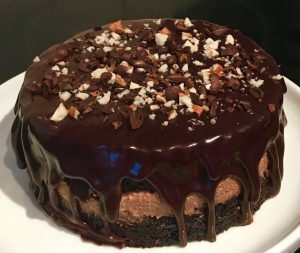 Both bars are covered with chocolate so to replicate this layer I opted to use the chocolate as the base to hold the cheesecake together. 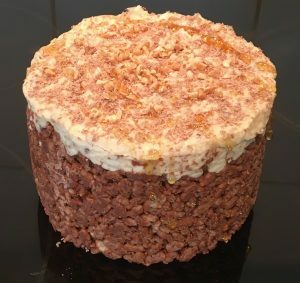 As cheesecake is creamy and missing crunch I decided on using rice bubbles for a chocolate crackle base. 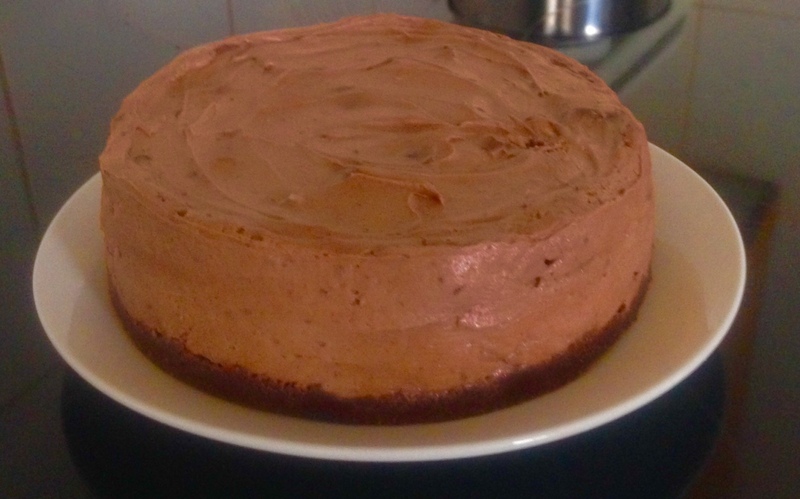 A very simple no bake cheesecake that replicates the chocolate bars flavours wonderfully. Place the rice bubbles and coconut into a bowl. 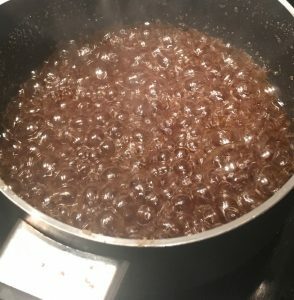 Add the melted chocolate and stir until well combine and all rice bubbles are covered. 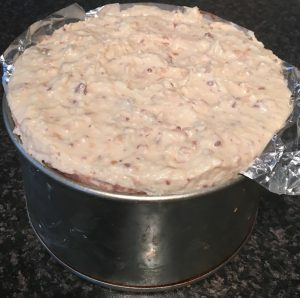 Press 1/3rd of the crackle mix on the bottom of the cake base and the remaining up the sides of the cake tin by pressing into the tin with damp hands. 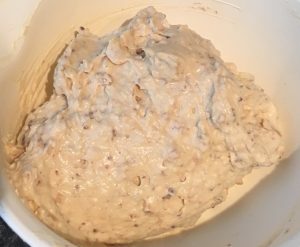 Meanwhile, to make the filling place the cream cheese, honey and vanilla into a bowl and whip until creamy and smooth with electric beaters. 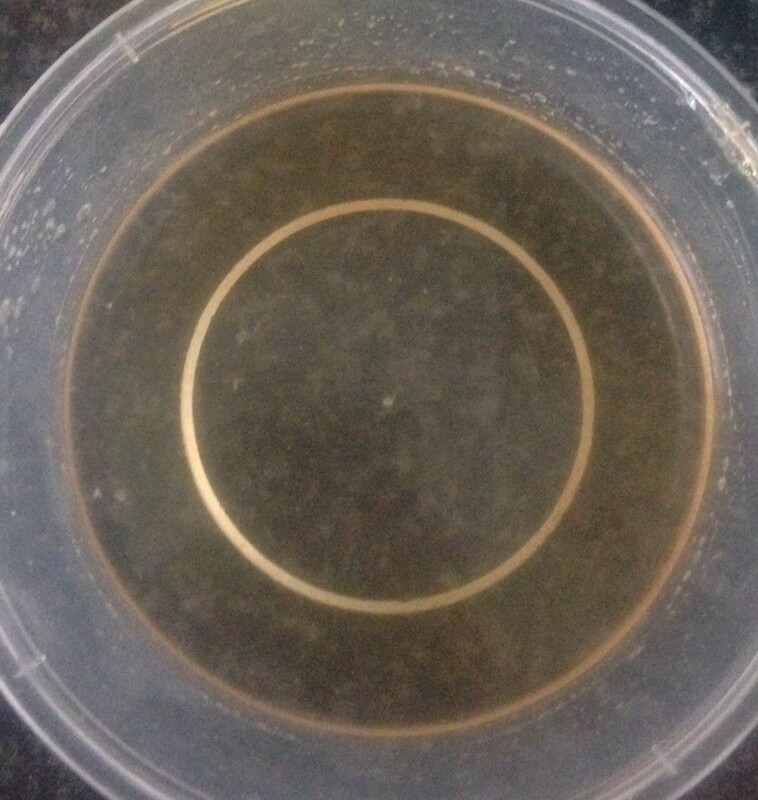 Boil the water and add in the gelatin, stir until dissolved and no lumps. Add the peanuts and coconut to the cheese mix and beat for 1 minute. 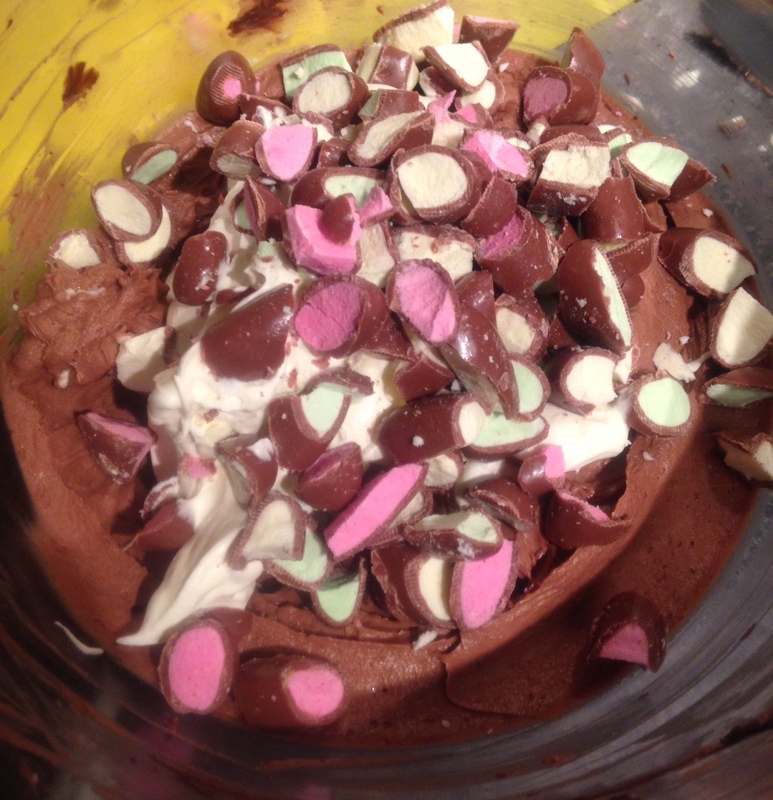 Add the cream and gelatin mix and beat for 1 minute. 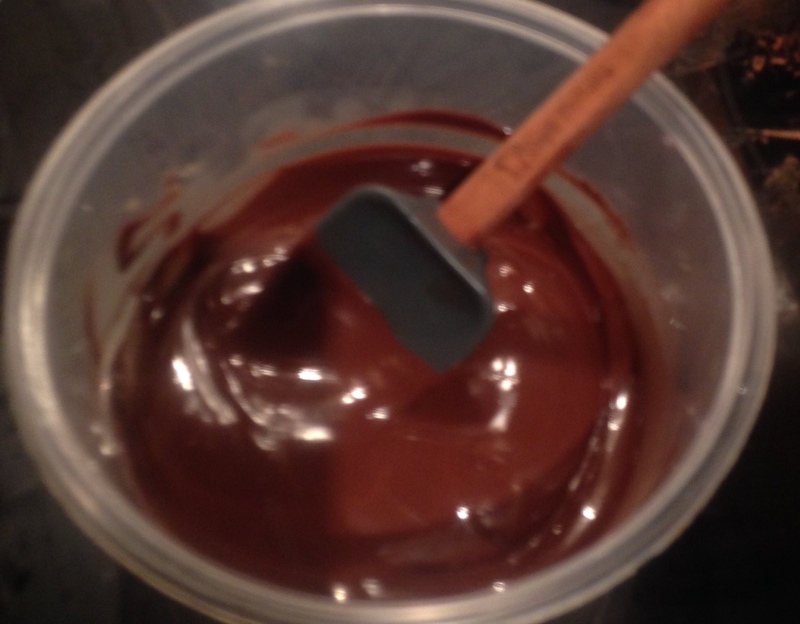 Finely chop up the chocolate bars and add to the mix, beat for 1 minute. 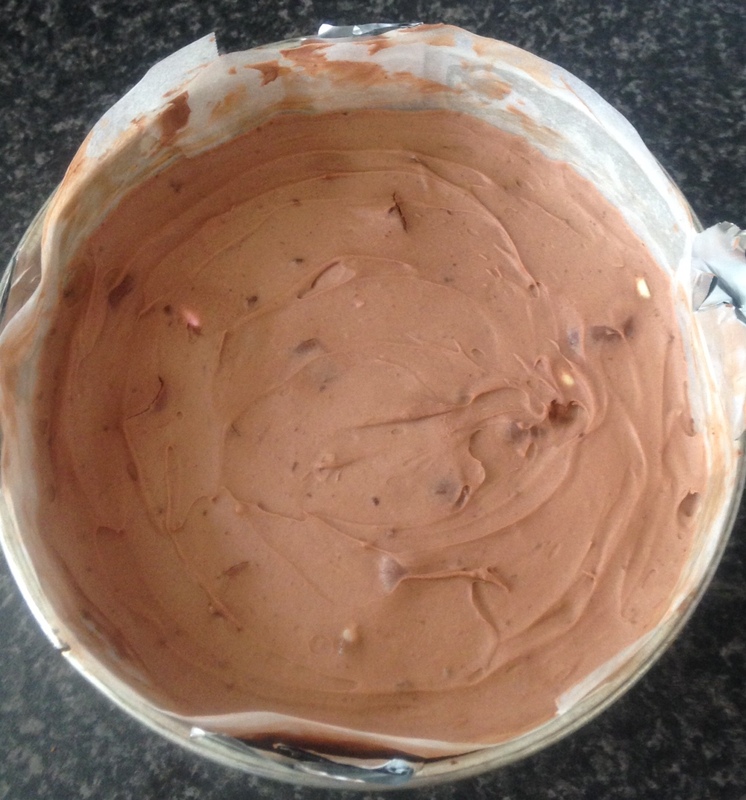 Pour the mixture into the prepared cake tin and leave in the fridge to set for 5 hours. Remove the cake from the tin and top with grated chocolate, extra peanuts and drizzles of honey. 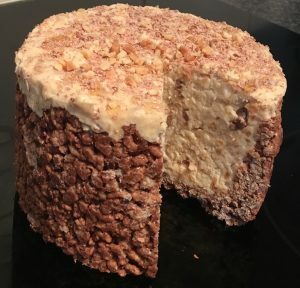 Tags: cheesecake, chocolate crackle, honey, Honey Nougat Crackle Cheesecake, no bake, nougat, peanuts	. Posted on July 31, 2016 Posted in Cakes	. This cake, is a killer. Who knew plum and port went so well together! I don’t even really like Port, but the sweet taste of the plum makes the Port flavor absolutely addictive. 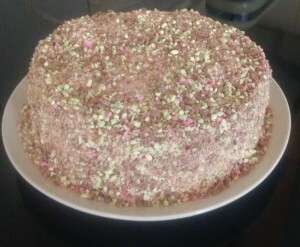 I made five cakes yesterday when I made this one and none of the others come close to being anywhere near as good. 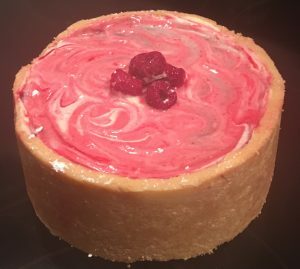 Cheesecake is another one that is not really a favorite, so to challenge myself I decided that I would incorporate these two flavors into a cheesecake. If I could make a cheesecake that I adored then it would definitely be an amazing cake. To try to cut down the fat content I opted for a little low fat yoghurt in the mix. 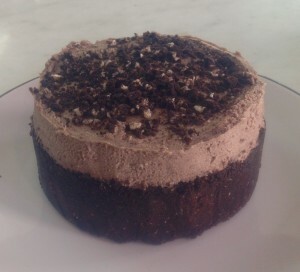 If you’re looking for an unusual but soooo tasty cake this one is a must try! 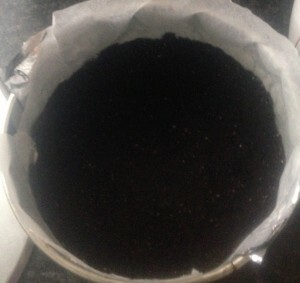 Pre-heat the oven to 150c degrees and line a 20cm spring form cake tin with baking paper. 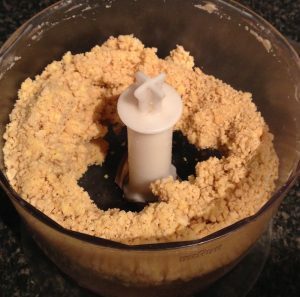 Place the butter and biscuits in a food processor and blitz until the mix resembles bread crumbs. Place in the tin and flatten out with fingertips. 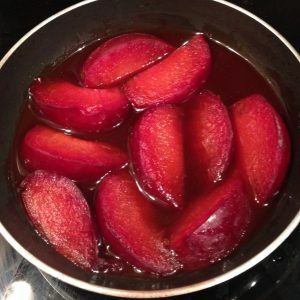 Meanwhile, cut the plum up into slices and place into a saucepan with the port on a medium heat for 5 minutes or until the liquid reduces. Place aside to cool. Add the cheese, yoghurt, vanilla and sugar into a bowl and using electric beaters whisk for 5 minutes. 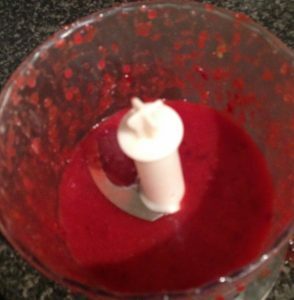 Place half the plums with the liquid into a food processor and blitz until smooth, add to the cheese mix. Add the 2 eggs to the mix, one at a time beat well between each addition. 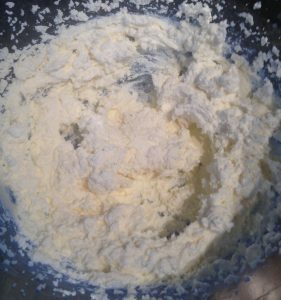 Place the egg whites into a bowl and beat until peaks form. 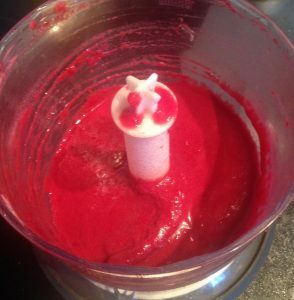 Dice up the remaining plums and add to the mix with the egg whites and fold until just combine. Pour the mix on top of the base and place in the oven for 60 minutes or until the top of the cake is slightly brown. 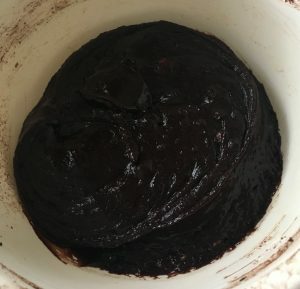 Turn off the oven and open the door slightly to be jarred. 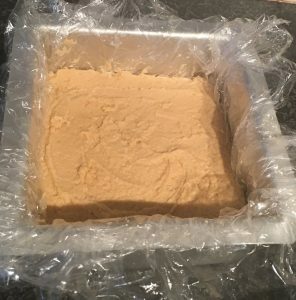 Leave the cake to completely cool for 2 hours then place in the fridge for 2 hours to set. Release the tin and place the cake on a plate. Sieve icing sugar over the top and serve. Tags: cheesecake, plums, Port, yoghurt, Yoghurt Plum and Port Cheesecake	. 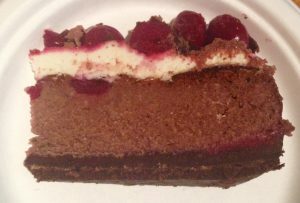 Posted on December 7, 2015 Posted in Cakes	. 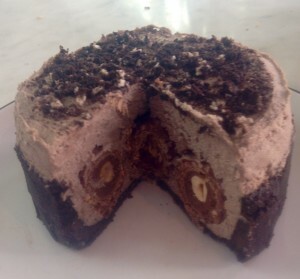 I was given a packed of Ferrero Roche’s recently and decided I wanted to incorporate them into a cake. 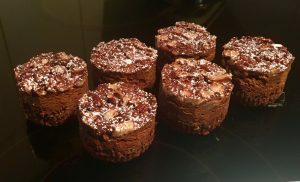 I figured if I made a recipe with these chocolates in them a cake that is baked would be a flop (as the Ferrero’s would just melt) so I needed to make a cake that didn’t require baking. 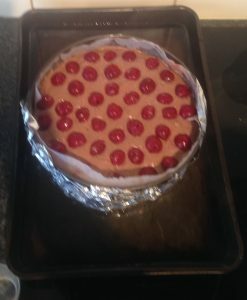 I know this is not very imaginative but all I could think of was a cheesecake. 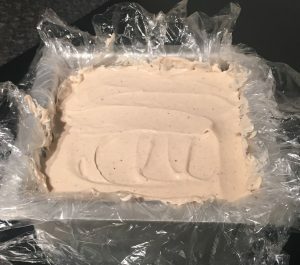 So now I knew what cake I would make and I knew one of the key ingredients but I still needed to come up with a flavour combo and structure of the cake. So Ferrero Roche’s are the collaboration of chocolate and hazelnut flavours. To make this cake a little unusual I decided to take these flavours to the next level. How I was planning to do this? An intense chocolate hazelnut biscuit base (Oreo happiness), Hazelnut liquor (hello Frangelico) spiking the cheesecake filling with textural oreo chunks and of course the whole Ferrero Roche’s scattered within the cake its self for a special surprise. 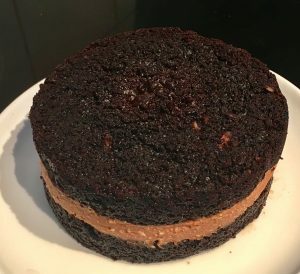 This resulted in a very amazing hazelnut, chocolate surprise cake that is super easy, no oven required and has a silky texture. This is the perfect celebration cake for the choc hazelnut fan. A little goes a long way and is a guaranteed epic birthday cake. Twist the Oreo biscuits and scrape off the cream in the center. 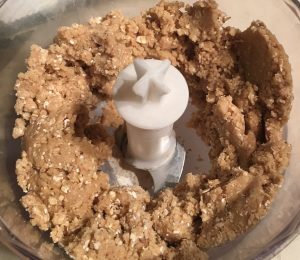 Place the biscuits in a food processor with the hazelnuts and blitz until the mix resembles fine breadcrumbs. 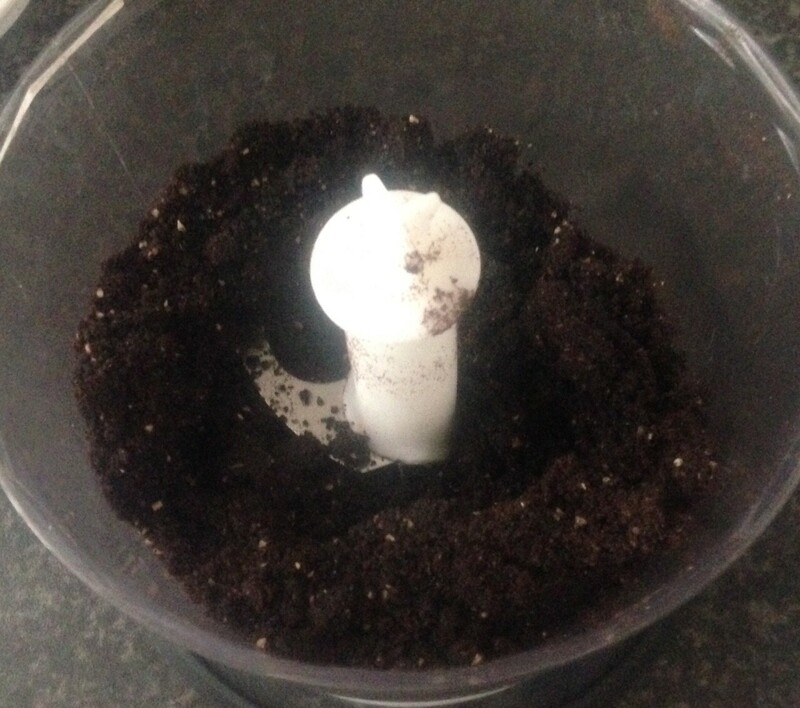 Set aside 70g of the Oreo mix for later. 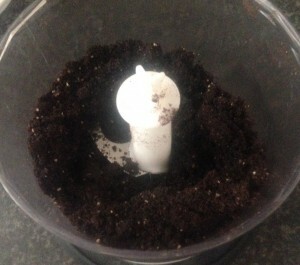 Place room temperature butter into the blender with the oreo mix and blitz until combined with the Oreo mix. Place the mix in the cake tin and using a cup press the mix into the sides and bottom of the tin. Place in the fridge to set. 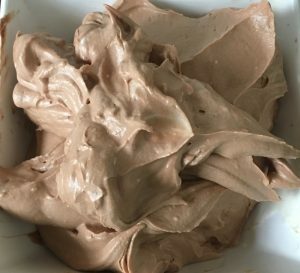 Beat the cream cheese and sugar until well combine with electric beaters. Place the Frangelico in a bowl and heat in the microwave until boiling. Add the gelatin powder and whisk until the gelatin has dissolved. Pour the cooled Frangelico mix into the cheese mix and beat until well combined. 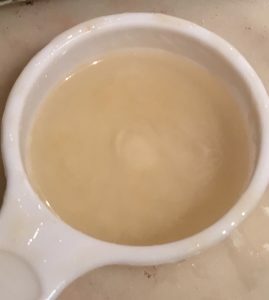 Place the white chocolate in a bowl and in the microwave until melted. Beat into the cheese mix until well combined. 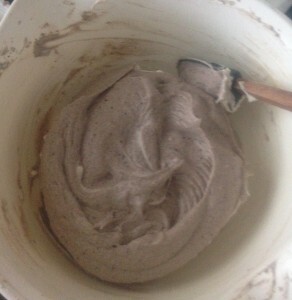 In a separate bowl with clean beaters use the electric beaters to whisk the cream until peaks form. 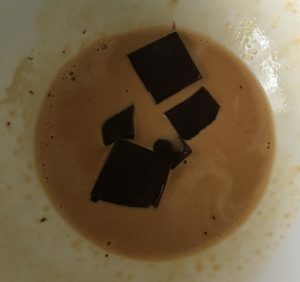 Add the cream to the cheese mix as well as the remaining 70g of processed Oreo biscuits and beat on low until just combine. 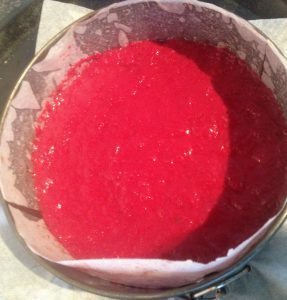 Pour half the mix into the cake tin and spread to flatten. Add the Ferrero Roches into the cheese mix in a circular pattern and push lightly into the mix. Add the remaining cheese mix over the top and flatten out. Place the cake in the fridge to set for 3 hours+. Tags: Avocado Chocolate and Orange Mousse Tart, Blueberry and White Chocolate Hazelnut Layer Cake, cheesecake, ferrero, Ferrero Oreo and Frangelico Chocolate Cheesecake, Frangelico, oreo	.